The resurgence of late-’60s-style psych rock isn’t a new thing, but the psych movement is undoubtedly gaining refreshed momentum within the underground music scene. Psych rock bands are popping up all over both coasts—and Psychic Ills are from the right coast. The New York City–based band is reminiscent of The Velvet Underground, without the boundary pushing. They are a safe version. 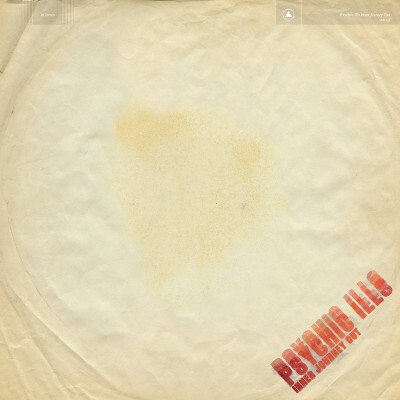 Psychic Ills have been playing music together for over a decade, and they consistently make psychedelia and trance the core of their body of work. Their art form was decided over 10 years ago, and Inner Journey Out is an exploration that delves deeper within their chosen genre. The third track on Inner Journey Out is the standout on the album: “I Don’t Mind” features young singer/songwriter Hope Sandoval, who complements Tres Warren’s vocals. The track is dreamy and whimsical while Warren and Sandoval sing, “I don’t mind all the time we had spent / I don’t mind I’d sure do it all again / I don’t mind the things that you’ve said / But I would’ve rather not have known.” Sandoval’s folk influences infiltrate the desert expansiveness that often fills the band’s sound. “Ra Wah Wah” is over nine minutes of full-on, psychedelic blowout. The song is the tranciest on the album, boasting zero vocals and solely instrumental parts. The keyboard and guitar pulse to the slow, inhibited beat of the drums. Chimes flicker in the background. A saxophone loosely emerges about halfway through the song. The entire song loses itself amid explosions and a seemingly successful acid trip. “Fade Me Out” closes the album. The guitar in the beginning of the song is reminiscent of the Garden State soundtrack. “Fade Me Out” itself seems to fade out of the album the entire time. It’s the sleepiest bang to any album I’ve ever heard. Warren hums, “You know I’ll miss you when you’re gone / I know you’ll miss me when I’m gone.” He chants the words over and over, as if to remind the listener to come back to him and Psychic Ills. Don’t miss him so much that you never join forces with Psychic Ills again. Instead, allow Psychic Ills to fade out for that moment in time until the next trip.